With a stitch pattern reminiscent of a cubist painting, Picabia is a warm and squishy cowl knit completely in the round. 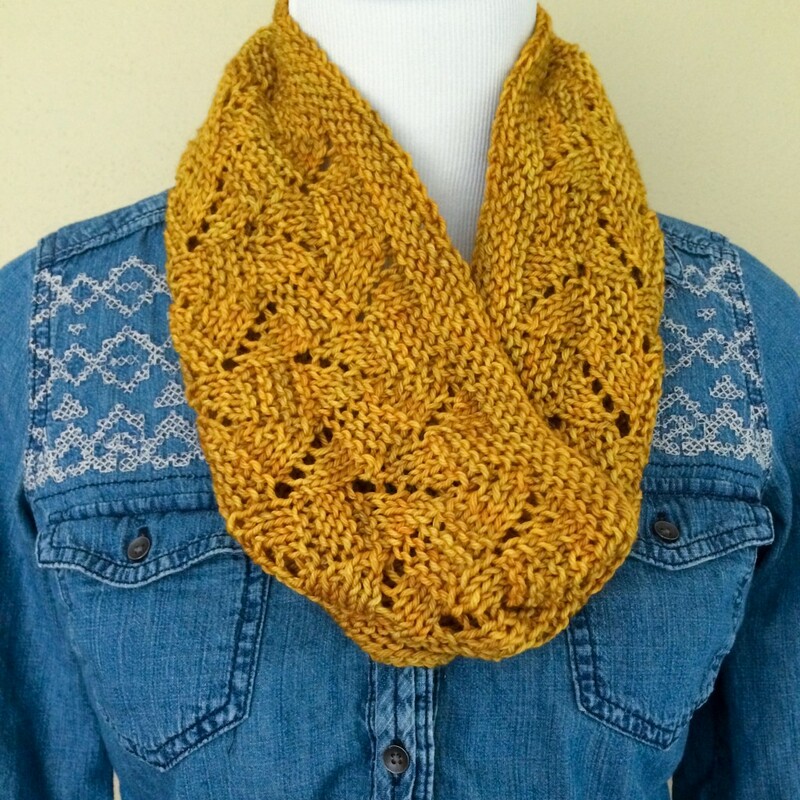 It’s a quick knit and would make a great gift for a special someone or yourself! The size of the cowl can be customized depending on your needs. Instructions on how to do this are included. Both charted and written instructions are included. 18 sts and 36 rows/4 inches in garter stitch (knit flat, unblocked). 15 sts and 26 rows/4 inches in body stitch pattern (in the round, blocked). Gauge is not crucial since this is not a fitted garment but changes in gauge can affect both the size of the cowl and the amount of yarn required to complete it.